Earn your Body Contouring Certification and become a master of today’s most in-demand aesthetic specialty. Students from across the country attend FAMA’s top-training Institute in Body Contouring. Body: Students learn the anatomy and physiology of fat cells, client assessment and how to develop the best treatment plans tailored to individual clients. 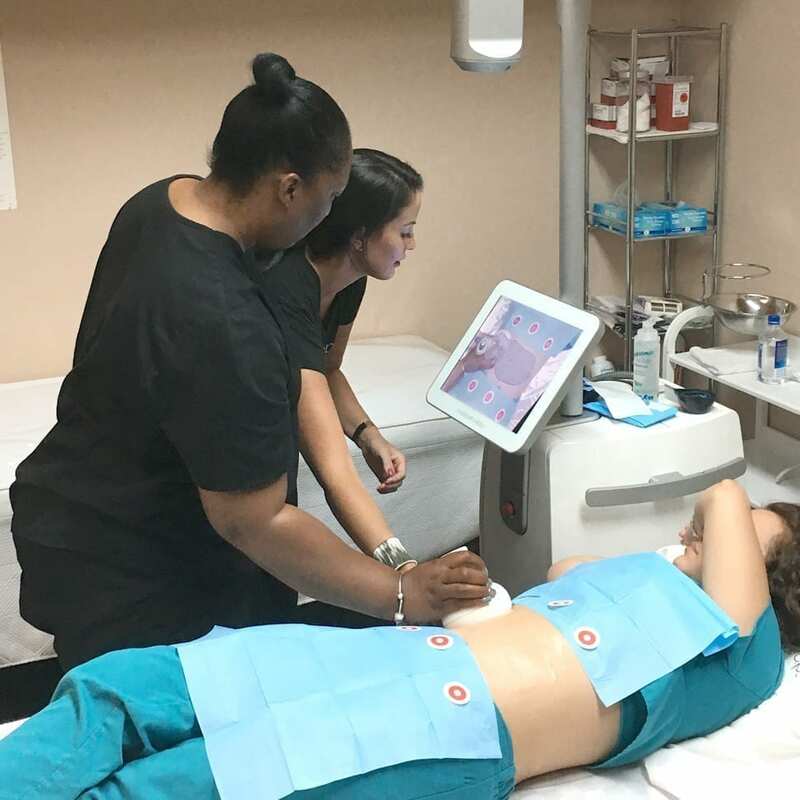 Students from across the country discover the protocols, best practices and ins and outs of Fat Freezing widely-known as CoolSculpting or Cryolipolysis, Radiofrequency, Endermologie and Vacuum Therapy during this five-day body contouring workshop. You’ll learn how to best eliminate fat, tighten skin and tone muscles while learning cutting edge American, Columbian and European body contouring techniques. Upon completion of the body contouring license program, you’ll earn your Florida Body Wrapping License and FAMA Body Contouring Certificate. FAMA is a renowned educational institute that brings medical procedures to life in an aesthetician clinical setting. You’re taught by the best — instructors have more than 15 years’ experience and continue to practice today. 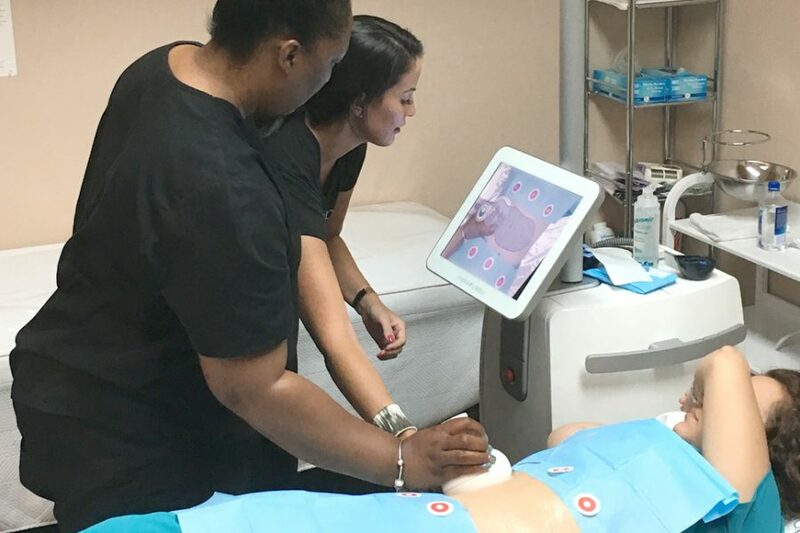 Whether you choose to continue your education through body contouring training courses or one of our other programs, your instructors will be there to guide you through the hands-on approaches that are necessary to learn in order to advance your career. 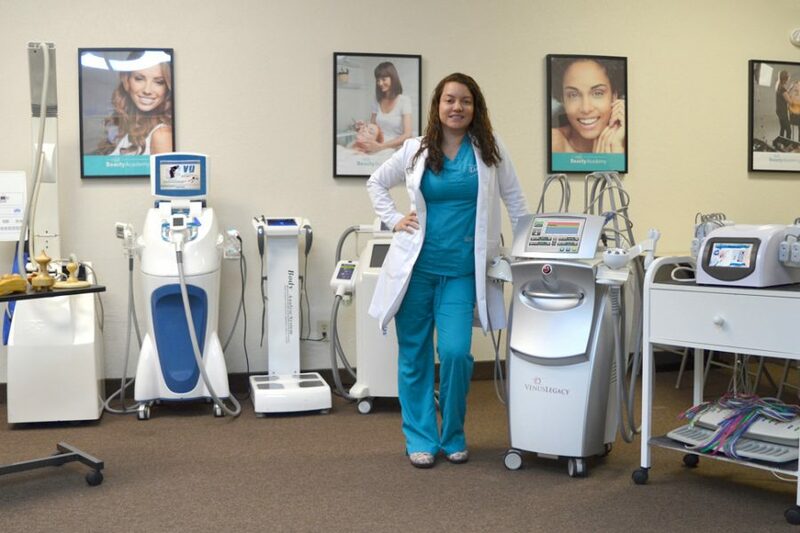 Learn body contouring techniques from around the worlds including American, European and Colombian techniques and take advantage of our educational partnerships with major laser manufacturers who teach and certify FAMA students on their equipment. 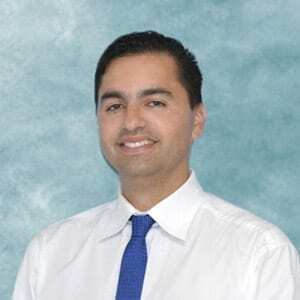 You’ll learn how to properly qualify patients for Fat Freezing which is widely known as CoolSculpting and other non-invasive body contouring procedures. In the hands-on medical clinic you’ll explore the different systems and machines used to destroy fat, tighten skin, eliminate cellulite and tone muscle. Our reputation precedes us and will become apparent early in your studies — you are our focus and we want to help you to develop and advance your career. You’ll gain the knowledge needed to take your career to the next level especially as aesthetic clinics and medical spas rapidly expand and face demand for graduates with a high level of knowledge. 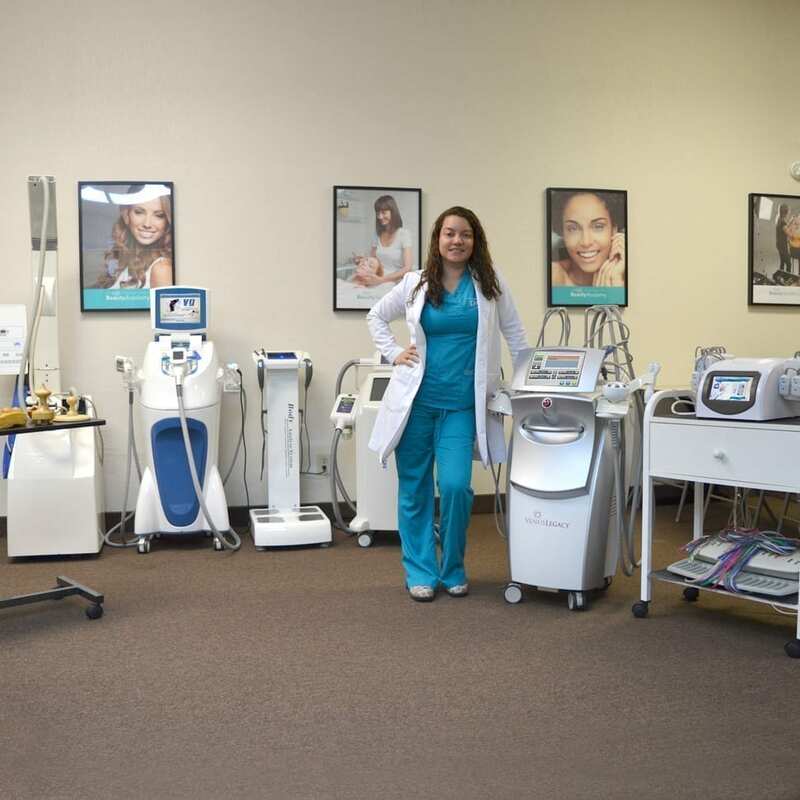 Due to our on-site medical clinic where you’ll access cutting-edge technology and our qualified educators, there is no better educational institution than FAMA when taking body contouring classes in Miami. You’ll explore a number of body sculpting techniques including Fat Freezing which resembles CoolSculpting, Ultrasound Cavitation, Lipolaser or iLipo, Colombian Wood Therapy, Endermologie, Radio Frequency, Electrostimulation, Vacuum Therapy, Shockwave, and Ultrashape. Must complete the entire course. Must pass a written and practical exam to earn certification. VERY IMPORTANT: All graduates are eligible to apply for a Florida Body Wrapper license when they present their FAMA certificate of completion. However, students residing outside of the state of Florida should verify their eligibility to practice directly with the board on their home state. The Evolution of Beauty through the Ages. Anatomy and Physiology of the Body. Common Areas of Concern (Men/ Women). Patient Consultation and Body Assessment. Cold-Based Systems to Destroy Fat. Heat-Based Systems to Destroy Fat. Mechanical Systems to Eliminate Cellulite. Electrical Systems to Tone Muscle. Heat-Based System to Tighten Skin. 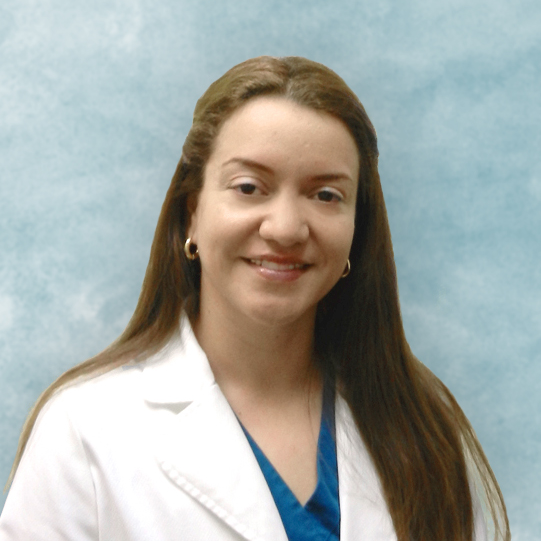 Colombian Physiotherapist, the creator of the Wood Therapy Techniques.